The final Group 1 of the UAE season is of course the Dubai Kahayla Classic run over 2000m on the Dirt at Meydan today, as part of the Dubai World Cup meeting. At the start of the season it had looked like a straight duel between US raider Paddys Day and HH Sheikh Hamdan's Barnamaj, whose form has taken marked step up since his hooves hit the dirt this winter. However as the season progressed, we gained a further two candidates in the well-related Ziyadd for Sheikh Mansoor and another Hamdan challenger in Al Zahir. 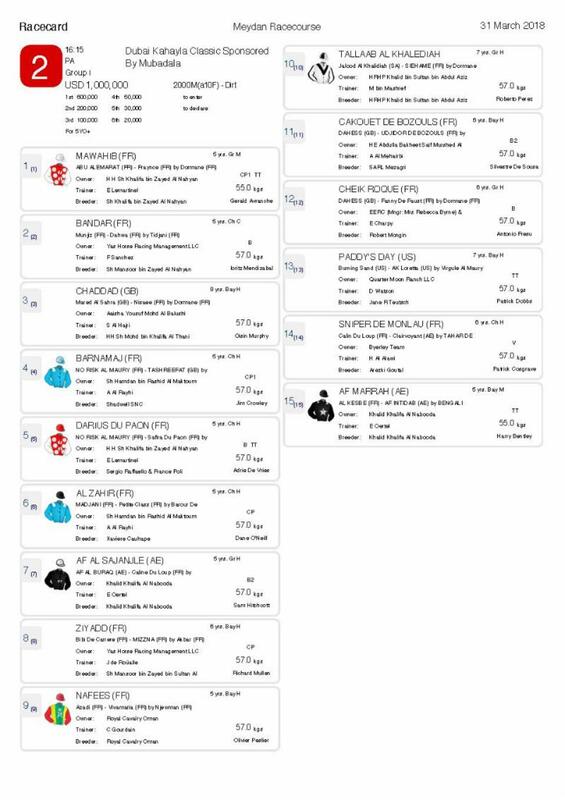 Since the probable starters were published, we can also add the Royal Cavalry of Oman's French and English Derby winner Nafees and the leading Saudi Arabian star, Tallaabb Al Khalediah, winner of the Prince Sultan Abdul Aziz International Cup as part of their growing International Arabian Horse Festival in January. Having had a luckless outing on Turf in the Jewel Crown at Abu Dhabi in November, Paddys Day made a big impact back on Dirt, winning Round 1 of the Al Maktoum Challenge. Barnamaj gained revenge, stepped up in trip for Round 2 and learned plenty in the process according to jockey Jim Crowley. In Round 3, billed as the deciding rematch between the pair, it was Ziyadd, who came out on top. A son of the 2008 Kahayla Classic winner Mizzna, and a brother to 2014 winner Rabbah De Carrere, he certainly has the pedigree for success on World Cup night. With a Group 1 course and distance win under his belt, in near record time, he warrants plenty of respect. Al Zahir, who has shown his best form to date on the right-handed Turf track at Abu Dhabi, put in a noteworthy performance when winning the Emirates Championship (Gr1PA) in decisive style over 2200m. However has has never finished closer than fourth in his only two starts at Meydan, including behind Barnamaj and Paddys Day in Round 2 of the Al Maktoum Challenge. Given the choice of HH Sheikh Hamdan Al Maktoum's rides it is Barnamaj that his first jockey Jim Crowley has selected. Charles Gourdain: " Nafees travelled over well, he's very relaxed and has eaten up well. He hasn't lost much weight from travelling and is a good weight, his racing weight, now. "He was moving very well on the dirt this morning and seem to like the ground. He has not raced left-handed on this surface, though of course he went that way at Doncaster on Turf. With the draw, the kickback shouldn't be too bad, if he can't get a good position early it gives the jockey a chance to come wide." Regarding the rest of the season he said:" We will see what happens in this race, but he has stallion potential so will be aimed at races which will increase his value at stud." Erwin Charpy: " Cheik Roque has been very consistent and this looks an open race this year, with a few of the good horses new to the Dirt surface. Richie Mullen: " The draw is not too bad for Ziyadd , being next to AF Al Sajanjle, who is a front runner, that one should take us into the straight. I believe Ernst is planning to put blinkers on him so he should find a bit of improvement and give us a good tow. 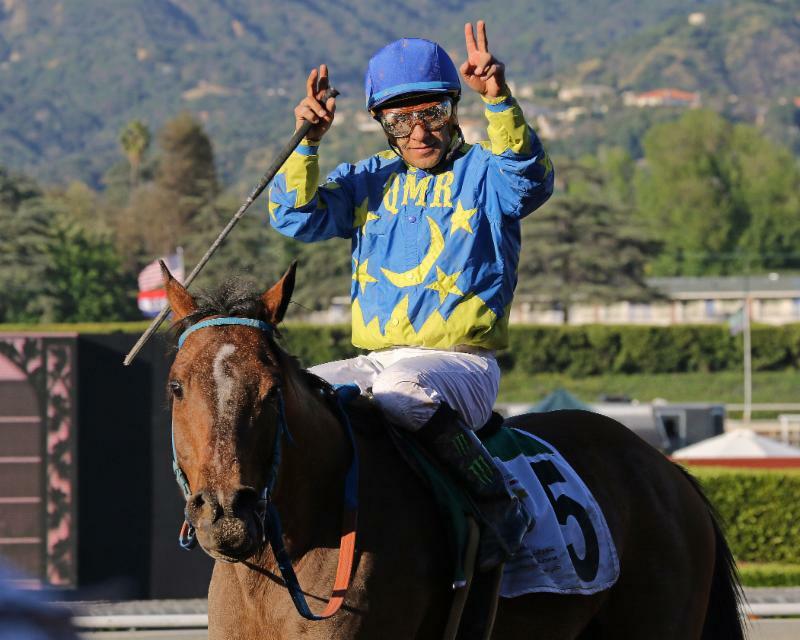 "Ziyadd has taken to the dirt really well, he's such a strong traveller on that surface. Xavier rode him in the prep race and actually he ran far better than we expected and probably took a little too much out of himself, so we didn't run in Round 2, we went straight to the President Cup [where the was second to Al Zahir] and then on to Round 3. "He'd been working really well at home (Al Ain) which of course is a sand track, but we did think he would run a big race at Meydan in Round 3. He should certainly improve again from that run as they usually do after their first attempt on Dirt. I was really impressed by the way he quickened away from them. He worked Sunday and seems very well. Concluding he said:"Ziyadd's bred to win this race being a full brother to a winner, out of a winner; he's the image of Rabbah De Carrere, perfect for the dirt, a neat and compact horse. 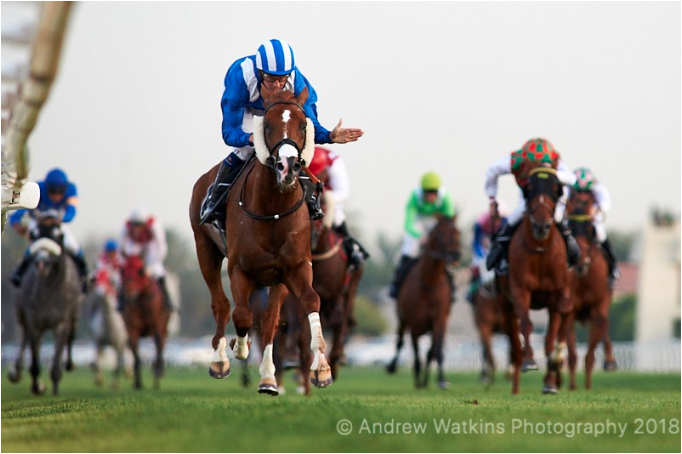 Our biggest dangers would be Nafees, he's a classy horse, and Barnamaj who is proven at Meydan." Al Zahir and Barnamaj – Both of trainer Ali Rashid Al Rayhi’s Purebred Arabian contenders stayed trotting inside Grandstand Stables on Friday morning. They will be hand walked on Saturday morning. The Abu Dhabi Equestrian Club season concluded on Saturday March 17 and was highlighted by the AED1million Group 1 Emirates Championship. Dominated by Al Zahir, for HH Sheikh Hamdan and trainer Ali Rashid Al Rayhi, the race was run over the same 2200m as his HH The President Cup victory on his previous start five weeks earlier. The son of triple Kahayla Classic winner Madjani has now won four of his seven UAE outings, including the 2400m Group 3 Arabian Triple Crown R3 on the same card last year. Ridden by regular jockey, Jim Crowley, they kept off the early pace which was strong, with Crowley content to make his move at the 800m mark, drawing clear for an uncontested win from Thabit and Abu Alabyad, who also came from behind to fill the places. With there being less than a length separating Paddys Day and Barnamaj on their last two meetings run over 1600m and 2200m metres in Rounds 1 and 2 of the Al Maktoum Challenge , it would have been easy to expect that it would require a photo to decide Round 3 over 2000m. In the event, Barnamaj finished ahead of Paddys Day by a length, however he was almost three lengths behind Ziyadd who travelled smoothly into the Kahayla Classic picture in the hands of Richie Mullen. Having his first start on Dirt and only his third for Jean de Roualle, Ziyadd was the pick of YAS Management’s first jockey and reigning UAE Champion Mullen. Previously trained in France, he had some useful place form and had won the HH Sheikh Zayed Cup (LR) by a comfortable margin in Rome in 2016. Later that year he had raced on sand in Casablanca, finishing third in a Group 3 over 2200m, though that was his last start until joining Roualle. Debuting in the HH President Cup prep at Abu Dhabi Equestrian Club in January, he was a respectable quarter of a length behind Sniper De Monlau (the Kahayla Classic third last year) in first time cheekpieces. His next outing, also at ADEC, was in the HH President Cup (Gr1PA) itself, in which he lacked the turn of foot of the winner Al Zahir, though was clear of the field - both races were over 2200m. In Round 3, perfectly positioned by Mullen, Ziyadd tracked the leaders AF Sanjanjle and Naziq, picking up the lead at the 500m point, they readily repelled the challenge of Barnamaj, who had come round the field. Paddy Day was caught flat-footed and though he stayed on for third, it is hard not to conclude the recent Mazrat Al Ruwayah (Gr2PA) win had left it’s mark. Confirming the Kahayla Classic as the next target he continued: " Thirty days is perfect to bring a horse to a big race like this, so we’ll keep our fingers crossed. I know now he likes the Dirt, so this is a very good sign and Richie rode a perfect race, so luck was with us tonight.
" The weather conditions over this last month have been testing for everyone working with horses and I cannot thank my staff enough for their dedication to the job. We are also very lucky to have the superb Newmarket gallop men working tirelessly during these times to make sure that the heath is in a good condition for the horses to train. Thanks to all of this, our horses have not missed a day of exercise and we are on track for the first meeting at Chelmsford. 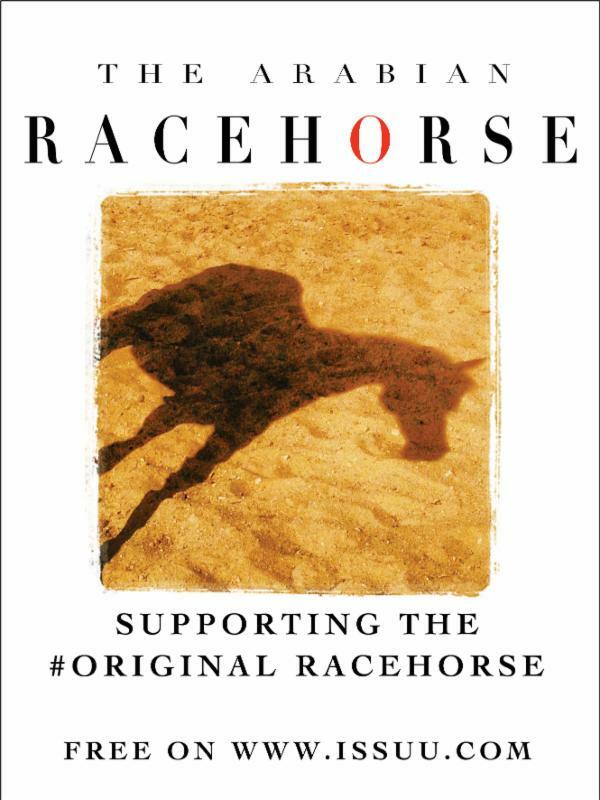 Our James Owen Racing Club is proving to be very popular, with several new members joining this month and some great feedback from other members already. We had our first club ‘morning on the gallops’ last weekend which was a great success. We started off with coffee and bacon rolls in the yard and then took the club members over to the Cambridge Road gallop to watch the three club horses be put through their paces. Dolfina D’Ibos will be the first runner for the club and she will run in the 0-60 1m2f handicap at Chelmsford. It’s great to hear that Chelmsford will be starting with stalls. I’m looking forward to running maiden winner Al Kaaser in the 0-80 1m handicap. A course and distance winner last year on his first start, I’m hoping for a good run from him. Another horse I’m looking forward to running is Alazeez, it will be nice to get him back onto the All Weather. Alazeez is a dual course winner and he looks set to run in the open handicap at Chelmsford. 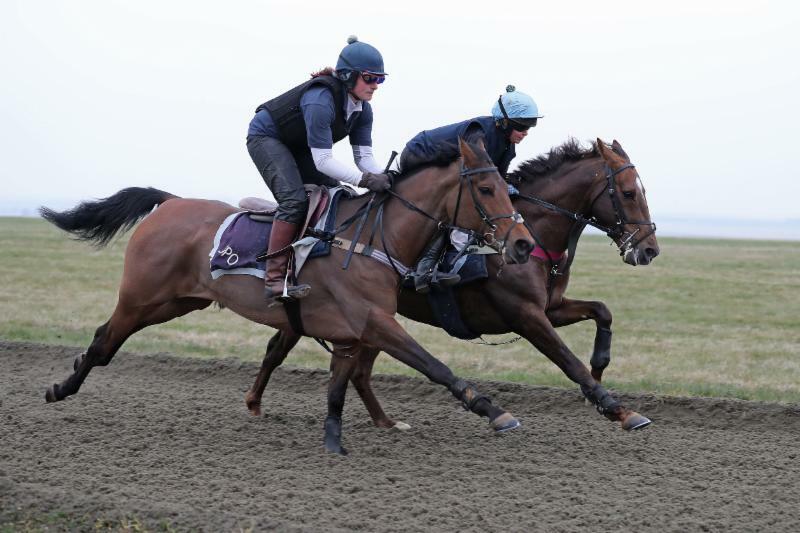 In other news, Antonia Peck has re-joined us for the season and is another great asset to the yard. Antonia got on very well riding the Arabians last season and with more experience under her belt from her rides over the winter, she will be a big part of the team this year. Finally, I have a selection of Arabians in the yard that are for sale and also available for syndication (both raced and unraced). Please take a look at my website and get in touch if you would like more information. The Sheikh Zayed Bin Sultan Al Nahyan 100 years Cup (Grade 1) contest at the Sam Houston Texas on Saturday, March 3, produced a thrilling finish in which even a photograph couldn't separate the first two home. With a prize fund of US$ 48,500 and run over seven furlongs, it resulted in a dead heat between stablemates Easter Man ridden by Rodolfo Guerra and Quick Sand AA under Quincy Hamilton. The result was as memorable for trainer Jerenesto Torrez and for owners Joseph and Betty Gillis, as Easter Man and Quick Sand AA are trained and owned by them, whilst RB Nash under Keiber Coa in third, was also trained by Torrez. Earlier on the card, was the HH Sheikha Fatima Bint Mubarak Ladies World Championship race, where Uptown Sandy Girl under Sweden’s Tina Henriksson coasted home from RB Kinkie Boots under Dutch lady jockey Cindy Klinkenberg and Pams Masquerade under UK’s Antonia Peck. 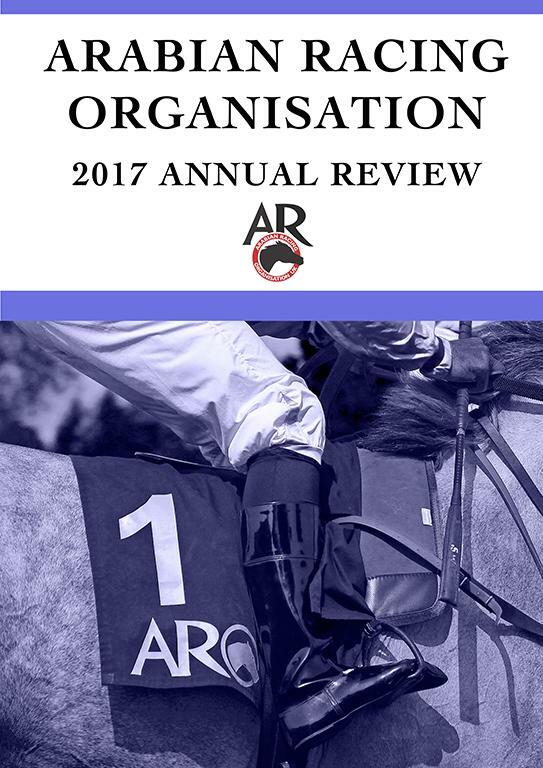 With just three weeks until the start of the 2018 UK Arabian racing season, it is now possible to review last years results and championship winners through the recently published 2017 ARO Annual Racing Review. Whilst printed copies are available, it can be viewed for free via the issuu platform which also publishes The Arabian Racehorse magazine. 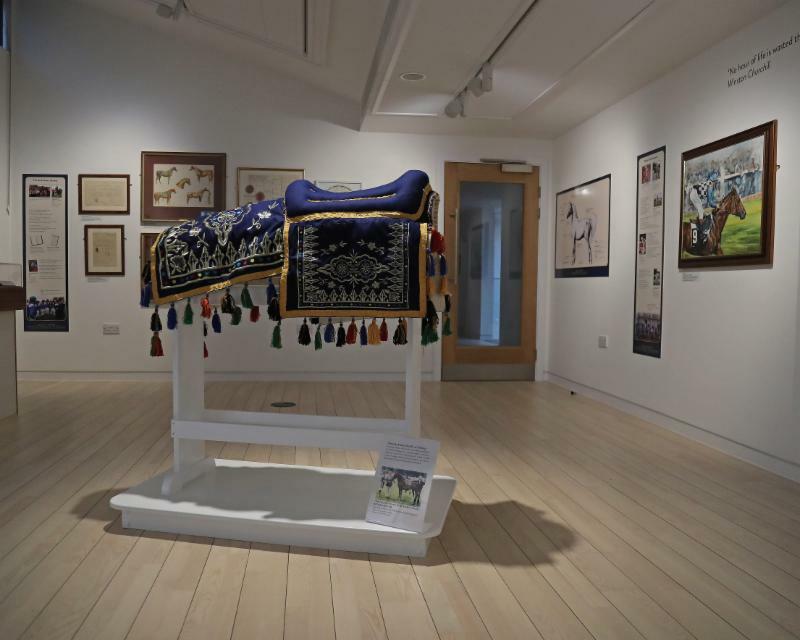 Also opening in March is the exhibition celebrating 100 years of the Arab Horse Society - Arabian Horse: From the Desert to the World which opened at the National Heritage Centre for Horseracing and Sporting Art at Palace House in Newmarket. The exhibition has been supported by HH Sheikh Hamdan bin Rashid Al Maktoum, patron of both ARO and the AHS. The exhibition runs until July 13 and the Heritage Centre is open daily from 10am until 5pm.